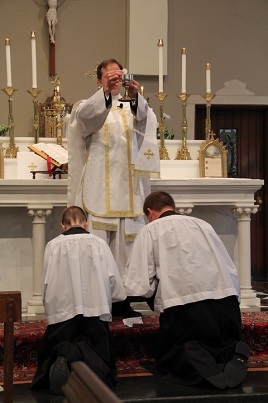 Most gracious Heavenly Father, we thank Thee for thou faithful priests and bishops, whose spiritual fatherhood and example of fidelity, self-sacrifice, and devotion is so vital to the faith of your people. May our spiritual fathers be guided by the example of St. John Vianney. Give them valiant faith in the face of confusion and conflict, hope in time of trouble and sorrow, and steadfast love for Thee, for their families, and for all Thou people throughout the world. May the light of Thy Truth shine through their lives and their good works. Assist all spiritual fathers, that through Thy Grace they may steadily grow in holiness and in knowledge and understanding of Thy Truth. May they generously impart this knowledge to those who rely on them, Through Christ our Lord, Amen. 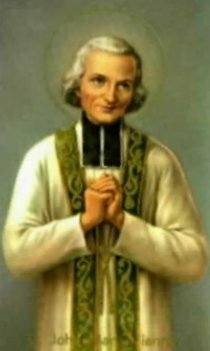 Faithfulness of Christ, Faithfulness of Priests: Curé of Ars St. John Marie Vianney, a true example of a pastor at the service of Christʼs flock.